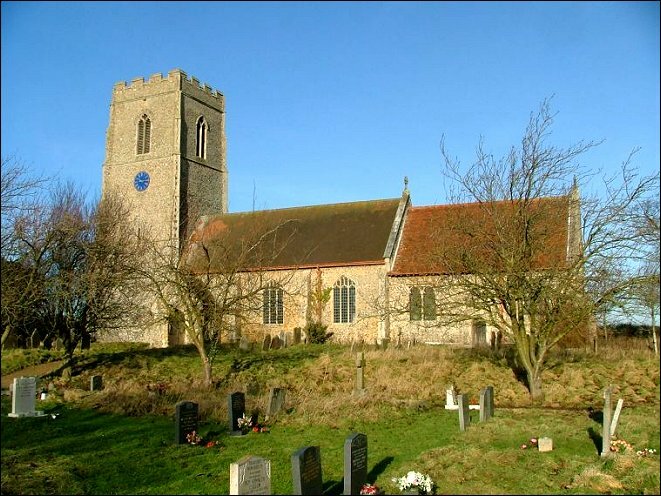 We are not far from Wymondham here, but the two Morley parish churches are remote from their villages and from each other. 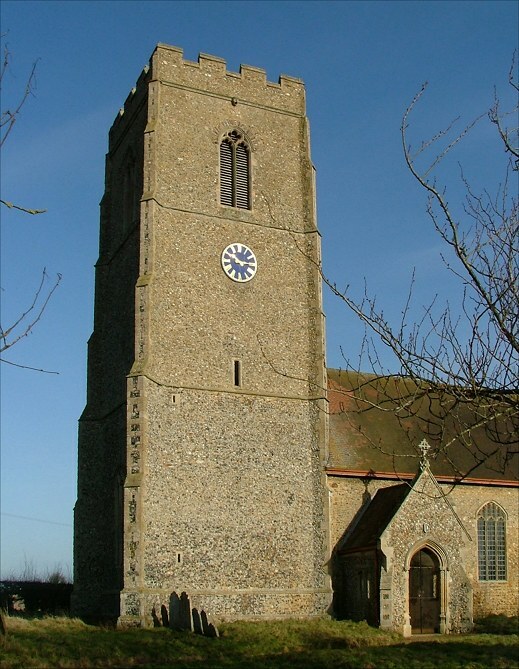 St Botolph, with its big blockish tower so typical of this part of Norfolk is set rather starkly on a ridge with flat fields around. You can see it miles away. This is a building of some substance. 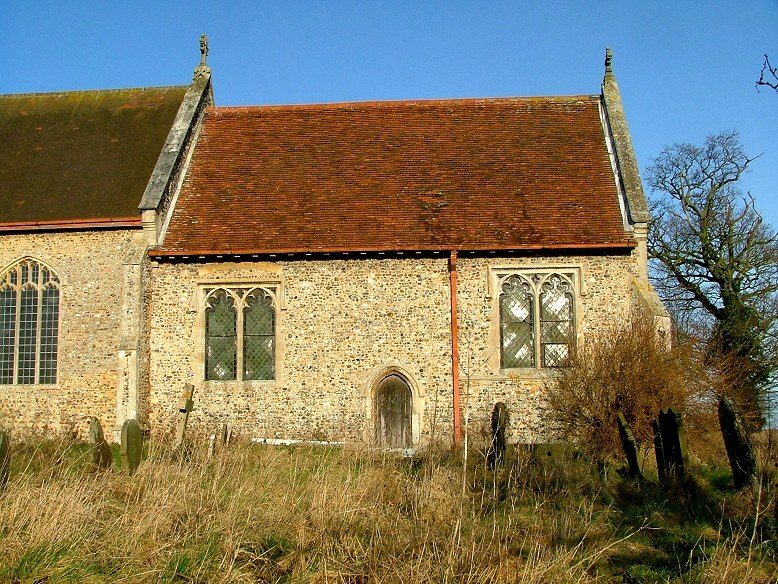 Although the chancel is a Victorian reconstruction, the tower and nave are full of 15th century Perpendicular confidence. But that is only half the story, because this church was almost completely gutted by fire in 1959. The nave was completely destroyed, and the tower turned into a chimney by the inferno. This was only ten years after the fire at nearby Rockland St Peter, and this is a bigger church. Resources being spread rather thinly at the time, it was left a derelict ruin for several years. 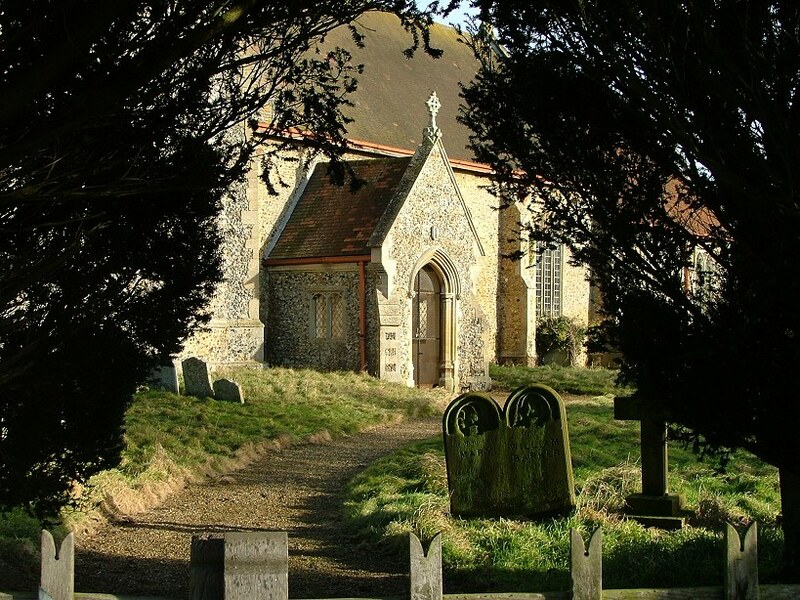 However, the graveyard here is shared by several villages, and so it was inevitable that St Botolph would still be needed. 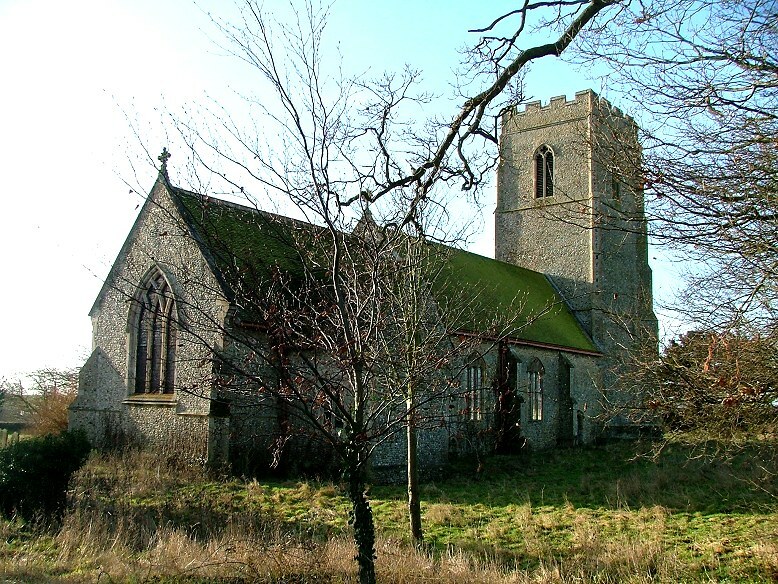 The rebuilding, when it came, was under the guiding hand of James Fletcher Watson, an architect with a fine eye who is most famous for the rebuilding of Bawdeswell in a Georgian style. 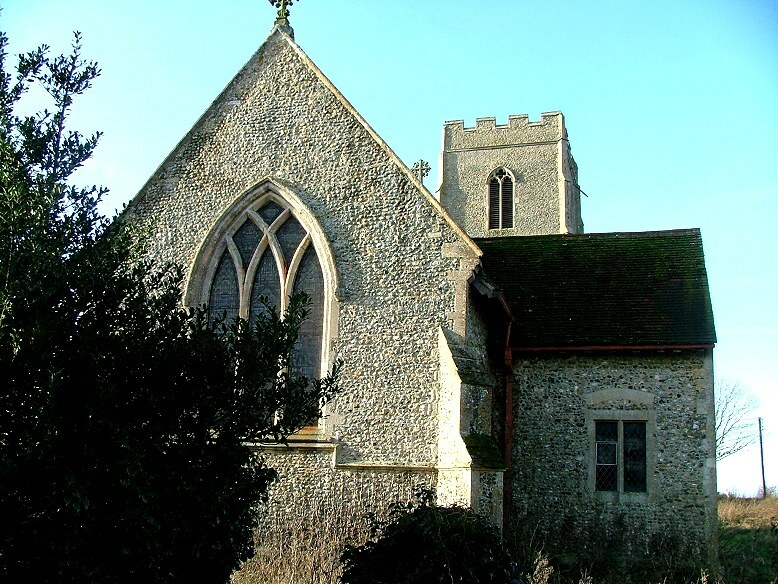 However, it is hard to tell you exactly what St Botolph is like inside, because, unusually for this part of Norfolk, the church is kept locked without a keyholder. The replacement glass in the nave consists of hand-made panes of stressed clear glass, which creates an interesting effect but makes it almost possible to see though. You can just about make out the light wood favoured by Fletcher Watson, as well as some Victorian furnishings in the chancel. But that's all, and only a notice in the porch gave any indication that this church was still in use. Standing outside, I gazed across the sun-bright fields. I watched the rooks wheeling, filling the air with their coarse ranting. There was nobody to be seen, for miles.